Now you can grow longer, fuller darker lashes with our new product from Allergen. 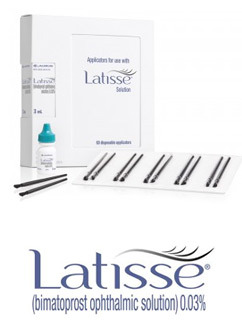 Latisse is the first and only prescription treatment approved by the FDA for inadequate or insufficient eyelashes, growing them longer, fuller and darker. It is an easy once-a-day treatment you apply topically to the base of your upper eyelashes. Results are gradual over time with the full results after 16 weeks.